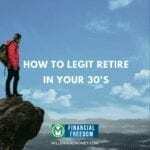 MM note: This is a guest post by Millionaire Mob, a blog focused on ways to better your financial future. 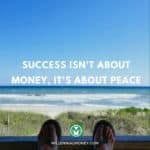 They have helped thousands of people better their financial future through passive income, dividend growth investing, and travel hacking. What Does Dividend Growth Investing mean? First, we need to understand the basics of dividends. For those of you who invest in stocks, you may receive a ‘dividend’. A dividend is a cash payment to the shareholder. Typically, a dividend is paid out each quarter. The total amount of the dividend is based on a number of factors, including, profit and amount invested. 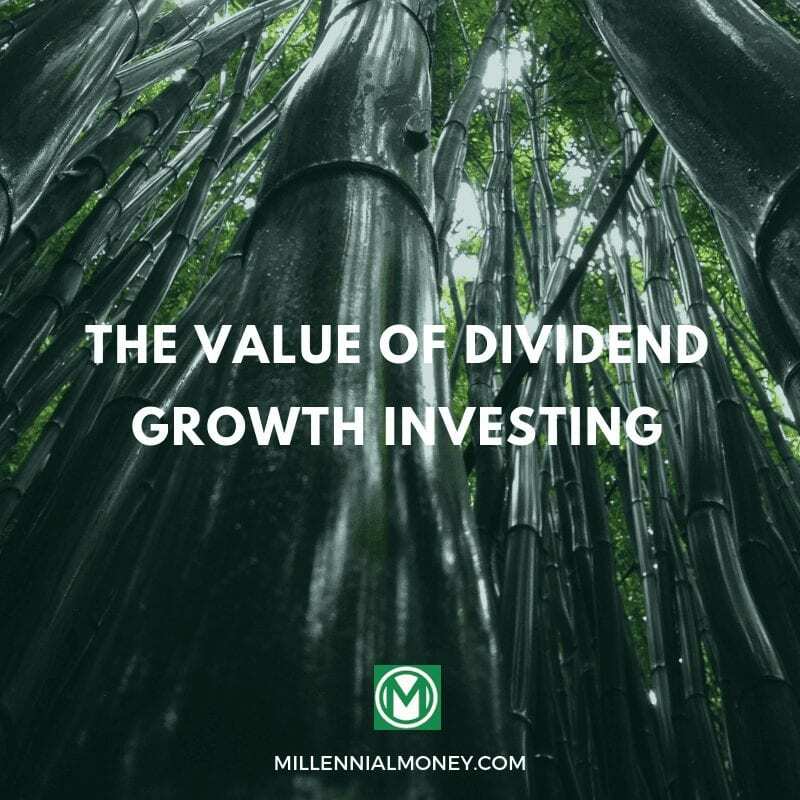 A dividend growth investment strategy is the act of investing for dividend income and capital appreciation. The goal is to seek out businesses that have a strong track record of rewarding shareholders through dividend payments. The core to the dividend growth investing is finding businesses that will increase dividend payments over time. What makes up a solid dividend growth investment strategy? If you want to become a dividend growth investor, you must put in the time and effort to learn some key principles. Just like anything (blogging, passive income, side hustles, etc. ), you need to put in the work. Once achieved, you can accumulate wealth through compound interest. So, how do you develop a solid dividend growth investment strategy? First, you need to understand what makes up a good dividend growth stock. Dividends are an important indicator of the value of a stock. A company that increases its dividends likely means they are growing their earnings too. Thus, look for companies that raise their dividend year after year! Furthermore, look for companies with stable business models, quality balance sheets, increasing cash flow, and reasonable valuations. We dive into additional details below. How can you tell if a company is shareholder friendly? To better understand the present, we must look at the past. Dive into historical data to see if a stock has experienced a dividend growth trend. Also, look to see if a company has ever bought back stock. Companies that both pay a dividend and buy back stock may have strong potential for growth. Check out Dividend Kings, which have a long track record of paying strong dividends. Over 50 years of consecutive dividend increases. These are outstanding businesses to consider if they hit attractive valuations. 2. Is the stock reasonably valued? This is one of the most important concepts with my dividend growth investment strategy. I want to find dividend growth stocks that possess limited downside, but outstanding upside potential. -Price / Earnings Per Share ratio of less than 20x. -Enterprise Value / EBITDA ratio of less than 10x. -Price / (Earnings Per Share Minus Dividends Per Share) of less than 15x. -Find stocks that have had a history of increasing their dividend by at least 5% per year. -Filter for stocks that have Price to Earnings Growth of less than 1.0. This means for each dollar you pay in PE ratio, you are getting in earnings growth. The ratio is just the PE ratio divided by the earnings growth. Know how the company truly makes money? I like to choose a simple platform for investing that doesn’t push me to overtrade or overthink my investments. We are in it for the long haul. There is no need to check your account every day. However, it may be helpful to receive notifications when large activities occur. We can get all of our stock related information pushed to us instantly. Is dividend growth investing a side hustle? Absolutely! Can a dividend growth investing strategy result in a form of passive income? You betcha. This is why finding high-quality dividend growth investment opportunities is the holy grail of financial freedom. My goal is to live off dividends forever. To help, we built a dividend calculator to help visualize how long it will take to achieve financial goals from dividends. The dividend calculator will help you see the outstanding benefits of compound interest. The trajectory of dividend income and portfolio value is truly amazing. A sound dividend investment strategy can help you achieve outstanding income AND portfolio value. Okay, now you know how to find dividend growth stocks. What do you need to do next in a dividend investment strategy? Increase your income, but more importantly, increase your contributions. The only way the dividend investment strategy will work (and work effectively) is to continue to invest your money on a bi-weekly, weekly or even hourly basis! The more often you recycle your dividend income back into your portfolio the better. Why does this help so much? Well, stocks go down by fractions each and every day. However, that doesn’t mean that there aren’t going to increase in the value of the long-term. 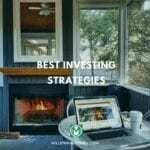 By reinvesting income back into your portfolio, you are fully optimal on capturing compound interest because all of those small dips in the stock price add up to significant value over time. The key here is dividend growth. Why? This is really where compound interest takes form. If you invest in a stock that increases the dividend over time, you literally increase your dividend income without doing anything. Now, imagine when you keep increasing your contributions. This leads to an increase in dividend income. At the same time, your prior investments are increasing their dividend payouts … The vicious cycle continues over time. You simply don’t have this level of flexibility with index investing. With index investing, you only receive your dividends (or distributions) quarterly at most. With a broad portfolio of dividend stocks in your dividend investment strategy, you are constantly receiving dividends and recycling that income back into your portfolio. Think of it like compound interest snowball. How can you accelerate your dividend investing? Go out and increase your income. NOW! There is no doubt that increasing your income is the key to success. You need to balance out a routine habit of budgeting and saving first. You should never increase your expenses in light of an increasing income. Hold your budget and savings habits constant. Thereafter, focus on doing whatever it takes for your income to go parabolic. 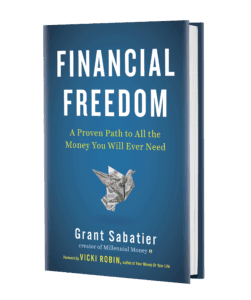 You can use a number of different side hustles to increase your income now and start your dividend growth investment opportunity. Side hustle profit should always be recycled into your investments. I sleep well at night knowing that my side hustle income is being put to work. How can you increase your income through side hustles? 1) Find a hobby that you truly enjoy: For me, it was blogging. I was hooked. I love the concept of learning from others, teaching others and refining my craft. Oh, tracking my goals doesn’t hurt either. 2) Hone your craft: Once you find your hobby, get really good at it. Focus on continuously improving. Success doesn’t happen overnight. At the same time, success isn’t an accident. If you put in the work, you will reap massive benefits. 3) Don’t sell yourself short: I am a firm believer that each and every one of us has a skill. At your day job, you are likely using a set of amazing skills. Do you know that someone will likely pay you more for your set of skills than what your employer pays you today? Don’t ever sell yourself short on what you can achieve. 4) Grow: Once you have achieved steps 1-3, go out and increase your efforts, fees, and output. You will be amazed at the results. A side hustle can actually be anything you want it to be. You can flip items for profit. Or, you can sell your skills as a service. Whatever you do, go out and paint your own canvas. Using the four steps above, you should take that in stride to put your money to work as you continually increase your income. Is a dividend investment strategy right for you? Dividend investing is not for everyone. Some people simply don’t want to consume the time it takes to filter to invest in businesses. They’d prefer to invest in the whole market instead as an index. For me, it’s much more than that. I want to be a part owner of a business. Just buying a fund isn’t enough for me. I appreciate that businesses in certain industries grow over time. With the right management team, successful companies grow over a long period of time. It is not about quarterly execution. With dividend investing, it’s all about decade execution. You can build a portfolio from scratch and size up/down investments over time. A dividend investment gives you unlimited flexibility on how you want to control your income and recognize gains. If done correctly, dividend investing allows you to increase your income over time. As you stay focused on your strategy, your investments will reward you by letting you live completely off the handsome dividend checks they give you every quarter.